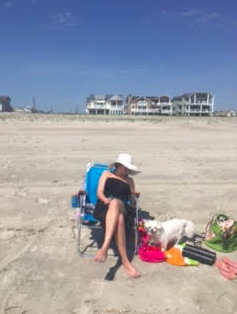 EveryHome at the Shore – Gearing Up for the Season! May is a wonderful month at the South Jersey Shore. Time to open up the windows and let the sea breezes “drift” in. There are more pre-season options for dining and shopping as Mother’s Day weekend approaches. Seasonal beach tags are available for pick-up. The weather is great for bike riding, beach strolling, board walking and house hunting. You might even catch that summer-like day perfect for sunbathing and, your pooch is able to join you until Memorial Day Weekend. If you are considering a home at the shore, let EveryHome Realtors help you navigate the waters!